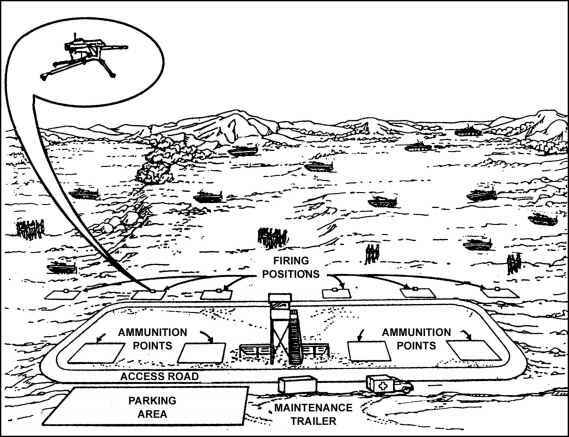 This appendix provides information on the employment of the AN/PEQ-2A target pointer illuminator aiming light (TPIAL), AN/TVS-5, and the AN/PAS-13B (V) 3 heavy weapon thermal sight (HWTS). These devices have the advantage of greater magnification and resolution for the employment of the MK 19 during periods of degraded visibility. These devices, when properly boresighted and employed under proper conditions, allow infantrymen to engage targets at the weapon's maximum effective ranges during periods of degraded visibility.